The Cleito 120 Pro Tank is Aspire’s latest addition to the Cleito range. This tank comes with a 0.15 mesh coil pre-installed, plus Aspire’s Cletio 120 coil rated at 0.16 ohms (both of which are compatible with the original Cleito 120 tank). 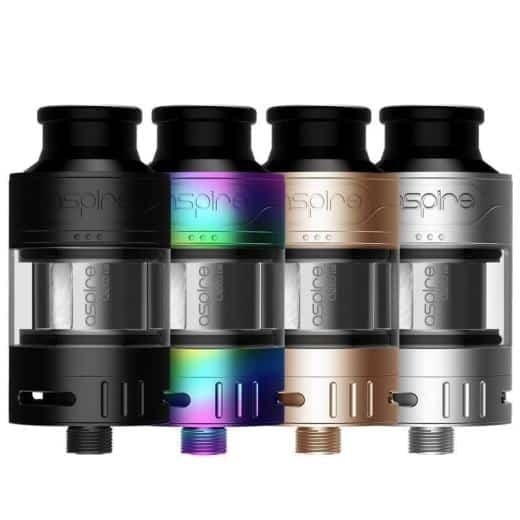 Each of these coils have great wicking capability which ensures increased vapour and flavour – just as you would expect from Aspire innovations. The 0.16 ohm coil is best used between 100 and 120 watts. While the 0.15 ohm mesh coil performs best between 60 and 75 watts. The Cleito 120 Pro Tank is 52mm h x 25mm w and features a super easy top fill – it’s a side-fill slot so no need to unscrew. It can of course be fully disassembled for cleaning and maintenance. The triple slot bottom airflow is easy to adjust to your own particular preference. It comes with a pro style extra wide bore delrin drip tip, just like the Cleito Pro. Enlargd wicking holes means the tank breathes without a hitch, even when chain vaping. Fitting or replacing coils in the Cleito Pro 120 couldn’t be simpler. Remember to let the coil stand for a few minutes to thoroughly saturate the wicking material before vaping! This tank is ideal for cloud chasers and vapers who enjoy dense, delicious flavour, especially with the mesh coil.